If you need to network your current PCs at home or at your business, we can provide and install a network that meets your needs. 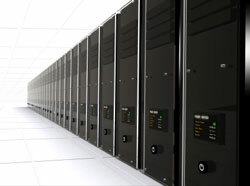 Whether your network requires the use a server or not, we have significant experience installing, maintaining and supporting a various types of computer networks. More and more home & business users are taking advantage of the flexibility of wireless internet. With wireless internet becoming more and more widespread it is important that a wireless network is correctly installed and secured. The data we store on our computers is becoming more and more crucial every day. We will help you plan your network so that a worst case scenario of losing your data is virtually impossible. However, should you network experience a disaster scenario, we are well versed and trained in various data recovery methods. Need a mother board replaced or a new hard drive? Perhaps you spilt a cup of coffee on your laptop? It happens more often then you would think. 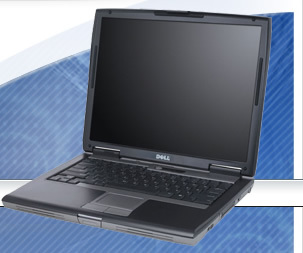 PC repair is a large part of the support we provide to our customers. Spyware/Adware, Popups and SPAM are quickly becoming ongoing problems that are a part of every computer network. If not properly monitored, these problems can slow your system to complete halt. Often, users do not realize these programs have infected their computer until it is too late. Protection from these issues is a must these days so don't take it lightly. We have several programs we recommend and install that will keep Spyware/Adware, Popups and SPAM from taking over your computer. Firewalls are a crucial part of any network with internet connectivity. Firewalls help prevent outside intruders from accessing your systems as well as thwart malicious programs inside your network from accessing the internet. All of your data is critical, but even if you take all the necessary precautions, unforeseen data loss is always a possibility. If you have a failed hard drive and you need to recover the data, call us. The last thing you need is downtime. This costs home and business users millions of dollars per day. Data recovery is no easy task, but we have all of the necessary tools to get the job done. Call us and we will recover your data for you. When purchasing a new PC, transferring the data from your old PC to the new one can be complicated and easily end up in the loss of data. We can help you transfer your files, music, pictures and any other crucial data in a timely manner. A crucial benefit of having a computer network is the ability to share files and printers. We can help you securely share your company's files between multiple computers. Printer sharing is another key feature we can help you implement, allowing any computer on the network to print to any printer also on the network. There are various ways to access your computer remotely. Want to work from home or on the road? We specialize in setting up virtual private networks and other means of remote access that will allow you or your employee's to securely access important data located on your company server(s) or your work computer. Have you bought a new PC and need help learning how to use it? We can help you learn basic PC skills necessary to run your new PC effectively. Or do you need help learning how to run your new cd-rw drive? Microsoft Office giving you trouble? We can help train you on your computer's equipment and software.